Abiola Ajayi-Obe Consulting is focused on providing practical tools and strategies to enable a range of people and organizations from Parents to Business/Organisational Leaders and Educationalists get the best outcomes whenever they have to rely on others to achieve their objectives. A Teacher isn’t great because he or she says so but because their students are inspired and are able to get the best results possible as a result of that Teacher’s inspirational teaching. Great teachers do not use a one size fits all approach to all their students they have a range of tools and strategies that they use for the varying students and situations that they find themselves in – to not only deliver the best to their students but get the best from themselves. Abiola Ajayi-Obe Consulting have tried and tested Teacher Development programmes to enable teachers become the best that they can be in the area of child behaviour management with the direct consequence of getting the children they teach to give the best of themselves. Unlike Teachers who atleast receive some formal training to enable them teach, parents are often expected to ‘catch’ effective parenting techniques from the atmosphere! Those who are able to parent well often do so by negotiating a minefield of challenges along the way and come out the other end with most of their mind and those of their children still intact. It doesn’t have to be this way. We use the years of expertise we have obtained in the area of child development and behaviour management techniques to equip parents with a toolkit of successful strategies to get the best out of themselves and their children. Whether you are in the business of mining ore from the ground or implementing government directives in the work place – invariably you are only going to make a profit or achieve your cost savings by effectively motivating the team you’re working with. Businesses and Organisations often spend a fortune on recruiting and selecting workers based on their individual competencies but rarely devote as much energy into ensuring that these same workers can work effectively with the existing team in place. Abiola Ajayi-Obe Consulting have years of experience in identifying and equipping team leaders and players with essential competencies to enable them work to the best of their abilities. Via Emotional Intelligence Competency Testing and Reporting and Organisational Interventions in the areas of Risk Management, Governance Compliance, Quality Management and Claims Handling we can support and develop your team to get the best out of all the individuals separately and collectively. If you’ve got children, being efficient and effective at work doesn’t always mean that you’ll have the upper hand at home. That’s what Abiola Ajayi-Obe found when she left her job as an NHS Risk Manager in 2001 to become a full-time mother to her two children after the departure of a much-loved child minder. Finding that managing her children was as challenging as managing the NHS, she decided to adapt the risk management systems she had used at work, to her home life. Abiola came up with a simple task, consequences and reward system and explained it to her children, who were both excited as they could clearly see what was expected of them. She turned this into a cleverly designed chart, changing negatives into positives, and from the moment she put the chart up in her kitchen, their lives changed for the better. 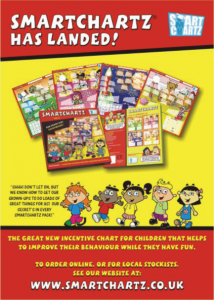 When other parents became excited at the chart system, Abiola decided to get some printed for her friends. But when her printer became excited too and told her that parents worldwide would love such a product, she realised that her simple idea could have mass-market appeal and in May 2003, SmartChartz was born. 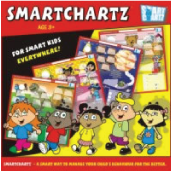 Today SmartChartz products are sold both in the UK and abroad. 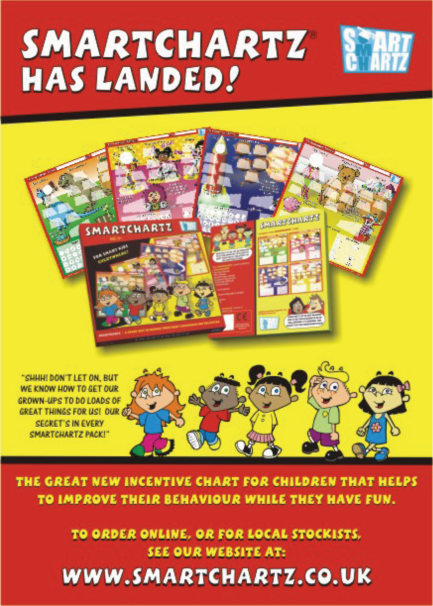 In addition to SmartChartz products, SmartChartz today also provides teacher training and adult leadership courses on behaviour management strategies, parenting courses and programmes and conducts Emotional Intelligence Competencies’ assessments and leadership training to businesses that need their staff to have higher level interpersonal skills. Over the past couple of years Abiola has been providing Whole Class Behaviour Management Training to teachers and particularly teachers in music services across the United Kingdom from the;- Western Education Library Board in Northern Ireland to Coventry, Reading, Oxford, Leicester, Lincolnshire and Cheshire County Councils to Education Services in the London Boroughs of Barnet, Enfield, Newham, Merton, Sutton, Richmond, Kingston Upon Thames, Croydon, Lambeth, Haringey, Harrow among others. Abiola inventor of SmartChartz, has won several business awards, has appeared on BBC Dragon’s Den, Working Lunch, BEN TV and on numerous radio programmes. She is a highly sought after speaker on child behavioural management and on her experiences as a ‘business mum’.